As I dug out the section underneath the kitchen, I saw that the brownstone ledge visible above ground in the back of the house continues underneath it and drops rapidly by more than 4' underneath the dining room. I had expected that when I dug out the section under that room, I could go all the way to the foundation at the front, whichaccording to codeshould have been at least 3' high. That would have given me a sizable area with 3-4' headroom that could, in fact, be used, e.g. to store stuff. But it turned out that the footings in front are just below grade, which forced me to maintain a berm on the inside. 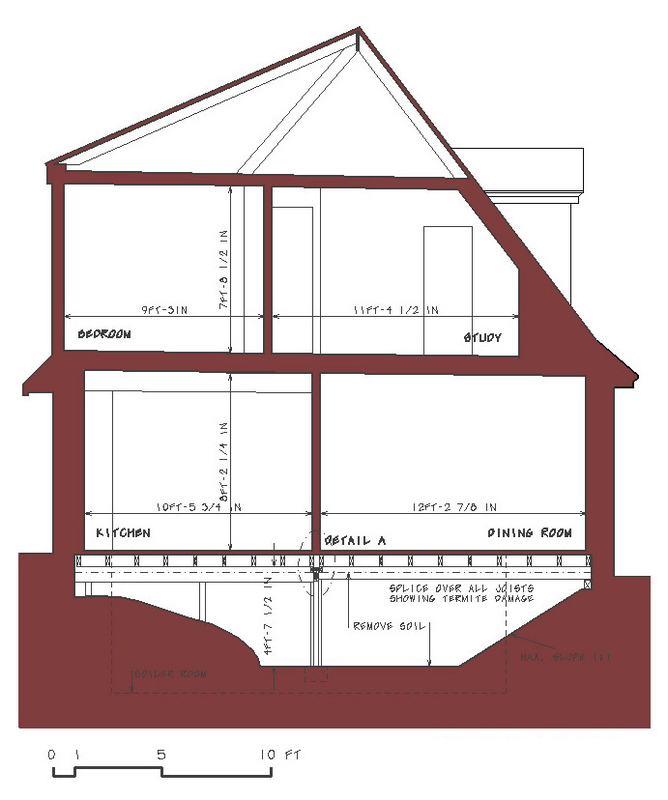 Yes, it is possible to place a foundation wall underneath an existing footing incrementally (in sections of 3', say). I could do this from the inside with concrete blocks, a material that would be easier to get into the crawl space, placed on new footings of the required depth (42" here in Connecticut). But I'm not sure that I'm ready to embark on a scheme like this (yet): There are more important improvements I can make to the house.